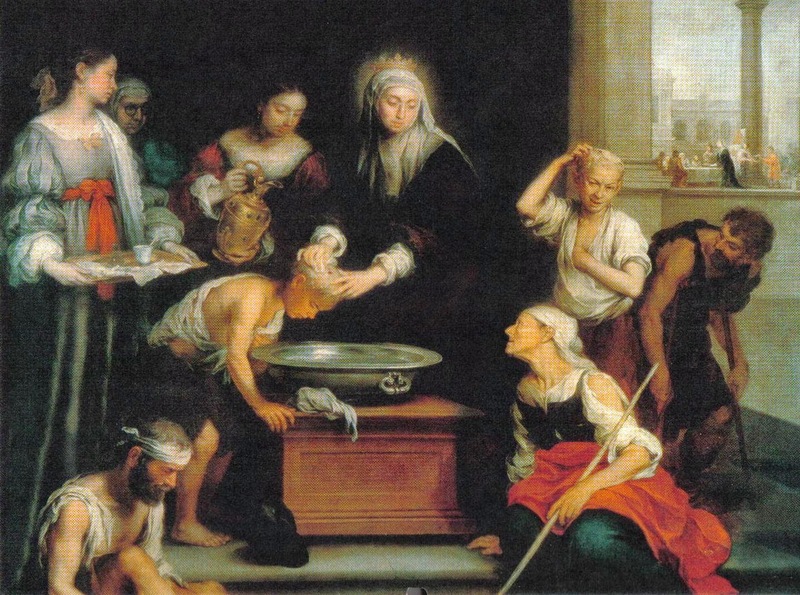 Both Elizabeth and Thomas were famous for their generosity. But while Murrillo paints Elizabeth releiving the physical suffering of the poor and ill, Saint Thomas is depicted as giving a pittance to a sick man, thus keeping up the appearance of caring for the less unfortunate rather than helping eradicate the cause of their sorrows or relieve their symptoms. 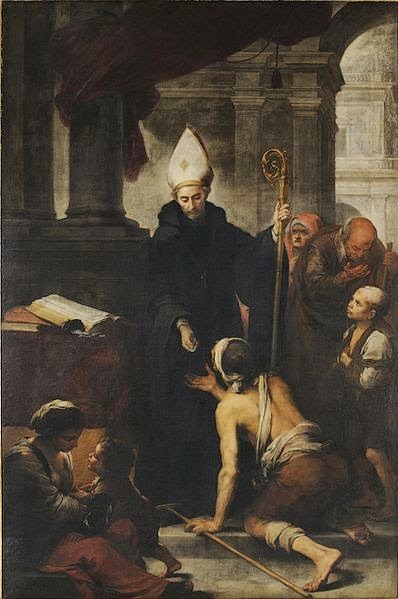 Murillo was lucky not to have aroused the wrath of the Inquisition with this harsh criticism of a much-loved figure of the Church.